This entry was posted in Family History and tagged Names, Saturday Night Genealogy Fun by cassmob. Bookmark the permalink. Pauline, thanks for this post. Loved reading about the history of various names on this site. Thanks for the tip about the website. I have a Genies Down Under episode coming up in Feb 2013 all about naming stuff so I’ll mention the site on that episode. Thanks! I missed that last night but I’m going to do it now. 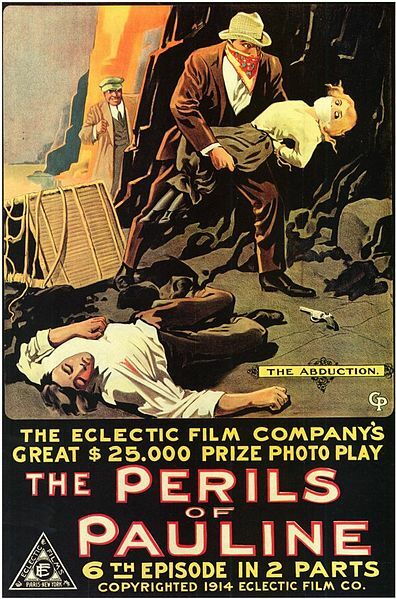 Love the poster for “The Perils of Pauline. It was good fun Kristin. 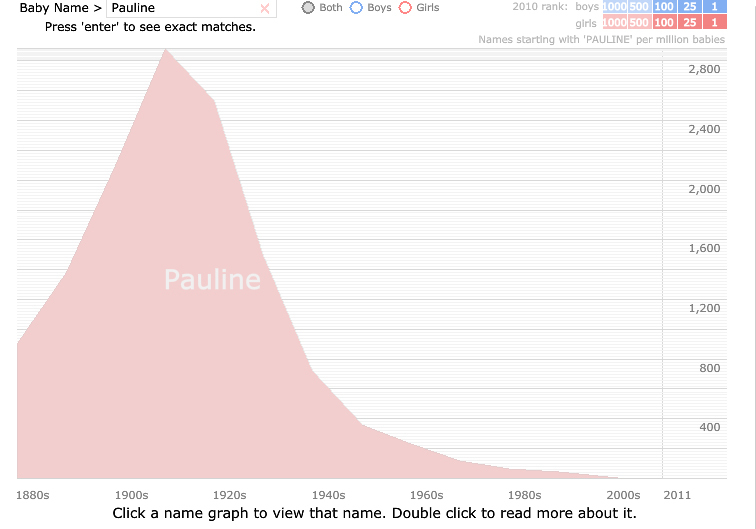 It’s always rankled with me that I’m named after Paul…and all so I wouldn’t be named after my grandmother, and because I was supposed to be a boy…such is life.